Varian Star 3400 CX Series GC Gas Chromatograph . New Life Scientific, Inc. This Varian Star 3400 CX Gas Chromatograph is in good cosmetic condition with minor wear and age. This instrument powers on, but does not fully initialize, showing nothing on the display. The internal components are in good physical condition and could be used for parts. 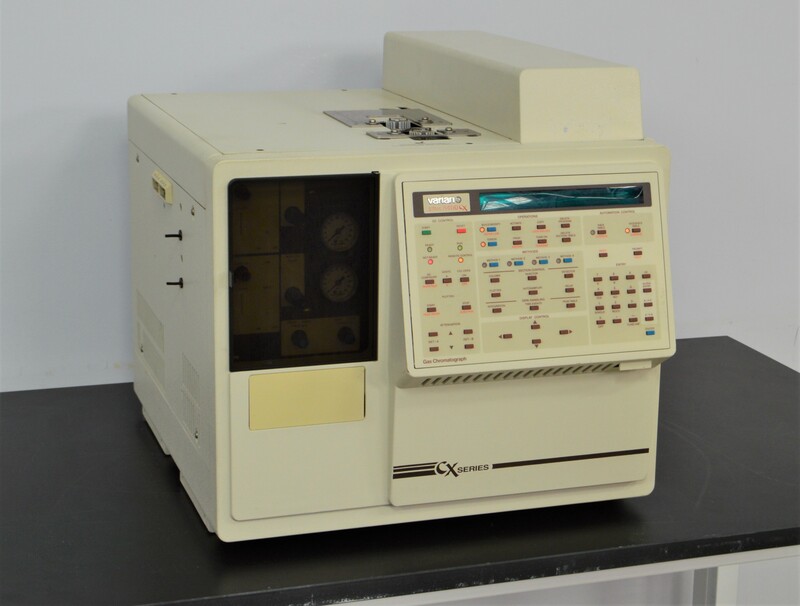 This Varian Star 3400 CX would be a great choice for anyone looking for a well-maintained, fairly priced gas chromatograph that can be repaired or used for parts. 20 x 25 x 20"